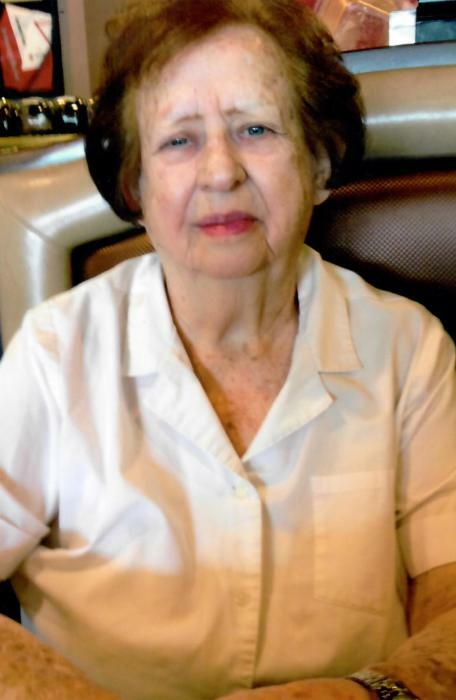 Obituary for Lillian D. Nola | Somerville Funeral Home, Inc.
SOMERVILLE- Lillian D. Nola, 90, died on Wednesday, May 30, 2018. She was born on January 18, 1928 in Staten Island, NY to the late Lillian (nee Koerner) and Adolf Johnson. Lillian was known to be charitable. She volunteered at St. Vincents Hospital and the local consignment shop. Lillian enjoyed playing in the poker club, cooking and baking. All who knew her will remember her as a devoted wife mother and grandmother. She was a kind and caring person who will be sadly missed by family and friends. Lillian is survived by her loving daughters Mary Bove (Tony) and Linda Nola-Willard (Harold) and cherished grandchildren Maria and Anthony. She is predeceased by her husband Andrew, 2 brothers and 2 sisters. Viewing will be Friday, June 1, 2018 from 3:00 to 7:00 pm at the funeral home. Funeral services are Saturday, June 2, 2018 from 8:30-9:15 am at the funeral home, followed by a burial at Moravian Cemetery in Staten Island, NY. Donations may be made to Alzheimers NJ, Attention: Development Department 425 Eagle Rock Avenue, #203, Roseland, NJ 07068.